Years ago, my mom used to make this wonderful coconut candy dipped in chocolate. It took a lot of work and the chocolate contained paraffin wax. Needless to say, the few times I attempted to make the candy, I left out the wax and found the whole process to be both traumatic and awful. I did keep the recipe for the filling though. After seeing various recipes for Almond Joy Bars on Pinterest, I decided to make up my own, using the filling from the dipped candy. These bars were relatively simple to put together. You do need to either keep them in the fridge or the freezer, though. The centers are sticky and need to be kept chilled. 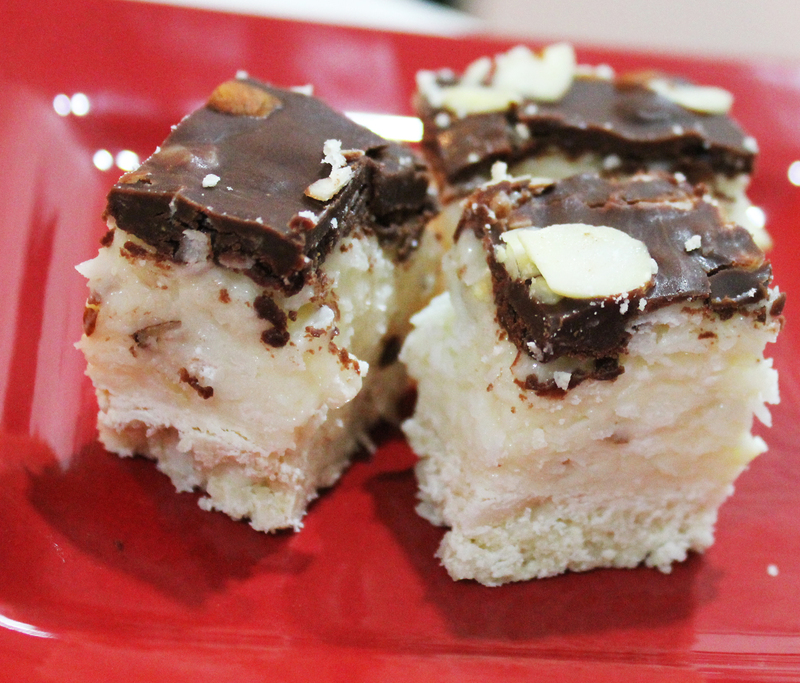 If you like coconut, almonds and chocolate, you will definitely love these! 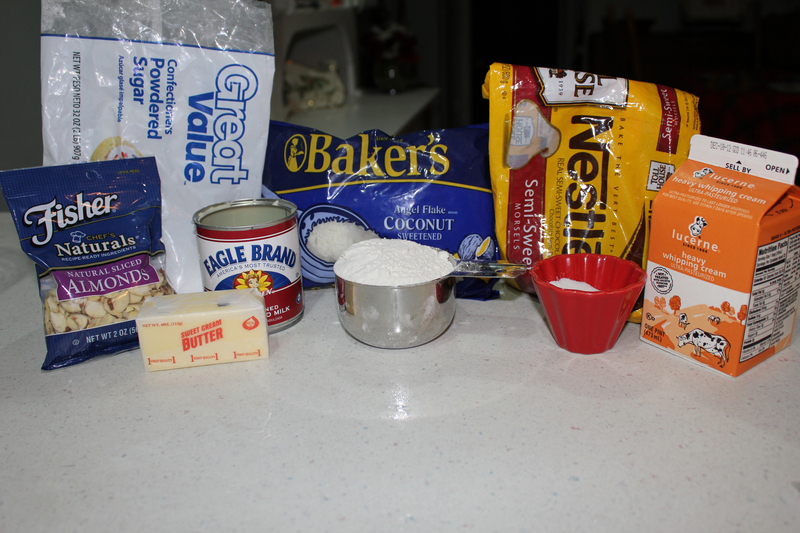 Combine filling ingredients. Cover with plastic wrap and freeze until firm. Cool crust completely before adding filling. When crust is cool, spoon on filling. It will be sticky, so work fast while it is cold. Spread out evenly over crust. Nuke chips, butter and cream in 20-30 second bursts until chips are melted. Mix well. Spoon over filling and spread out evenly. 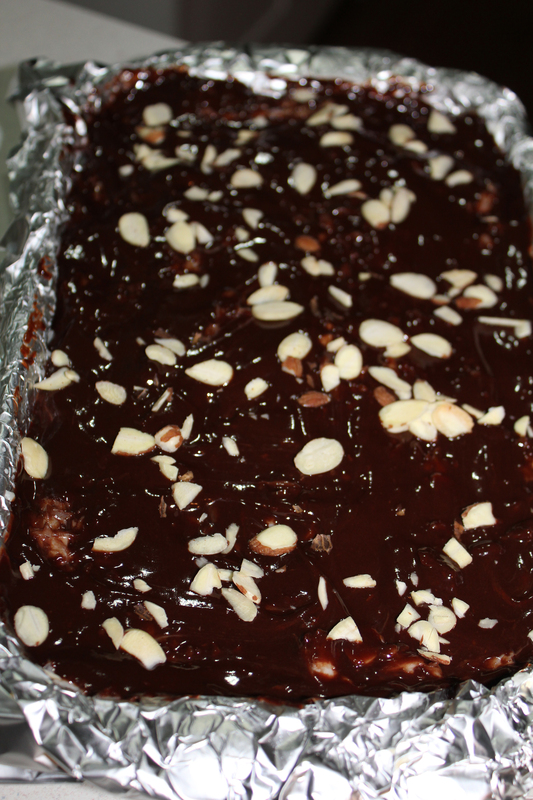 Top with more sliced almonds then freeze until firm. 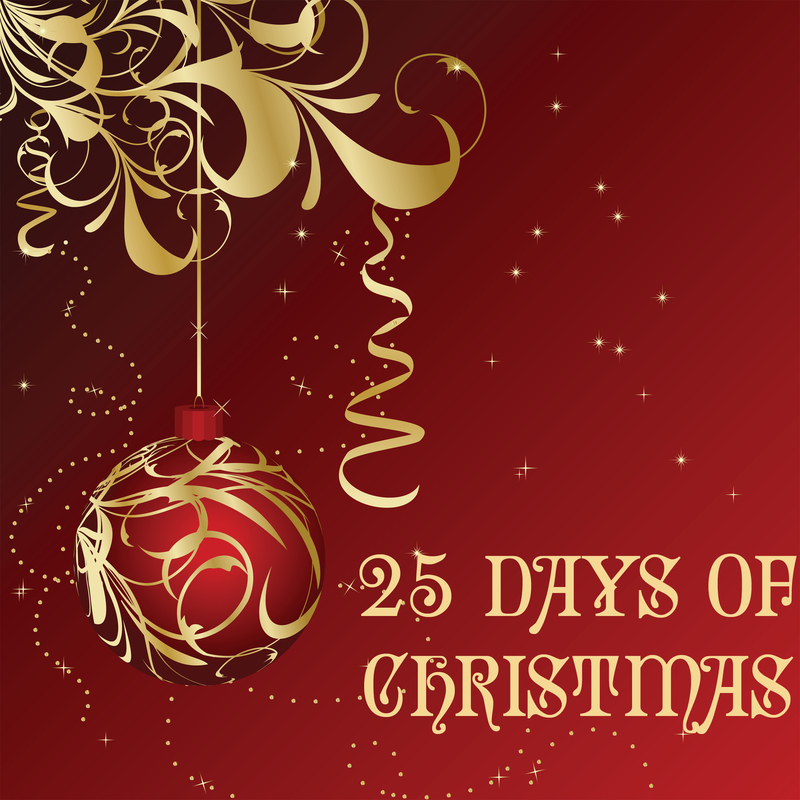 Cut into bars and indulge! 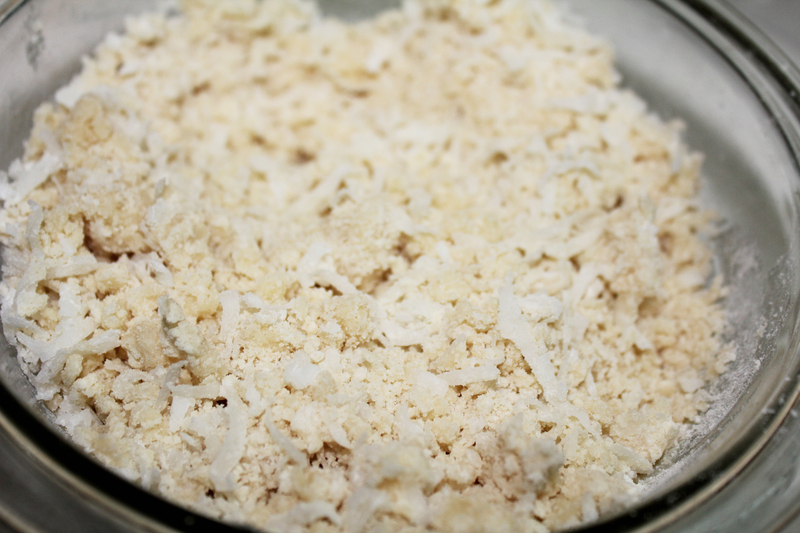 Crust – Beat softened butter then add in flour, sugar and coconut. Mixture will be crumbly. 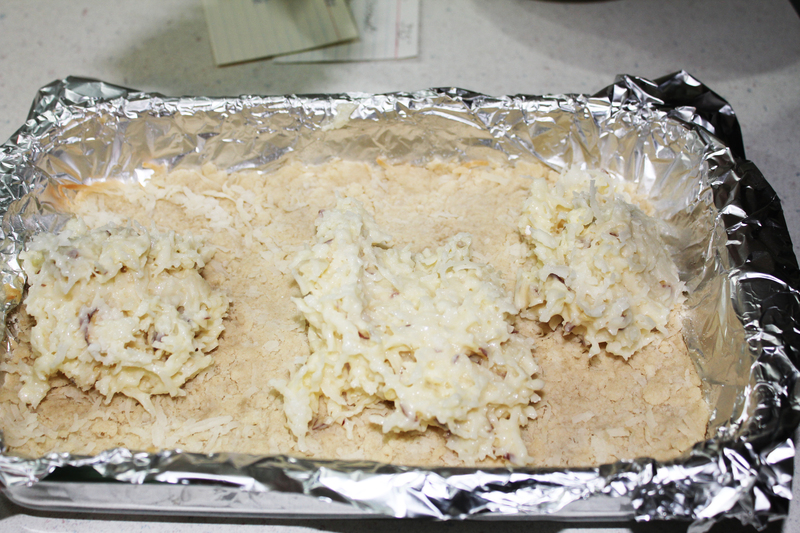 Press into greased baking dish (if you are lazy like me, line it with foil then spray with non-stick spray. It makes it easy to lift out and cut bars when finished). Bake for about 6-8 minutes, until just set. Remove from oven and cool completely. 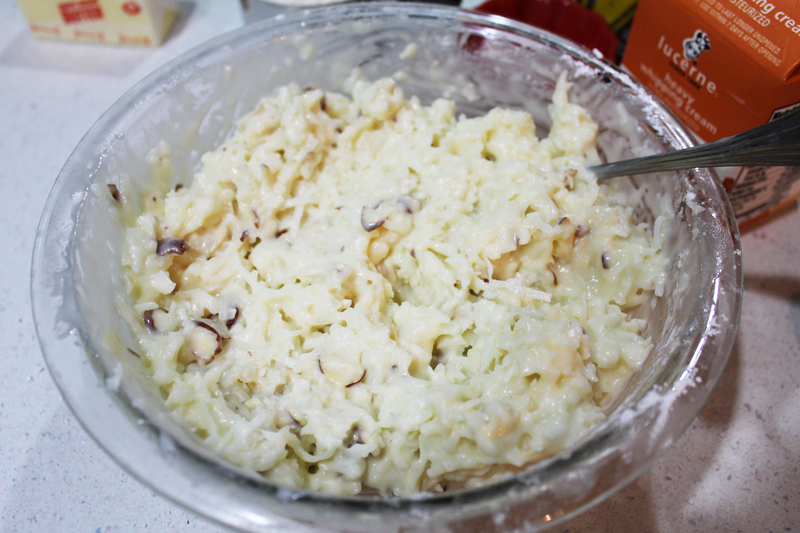 Filling – Mix condensed milk, almonds, coconut, butter and sugar until well mixed. Freeze until firm. When crust is cool, spoon filling over the top and spread out to smooth. 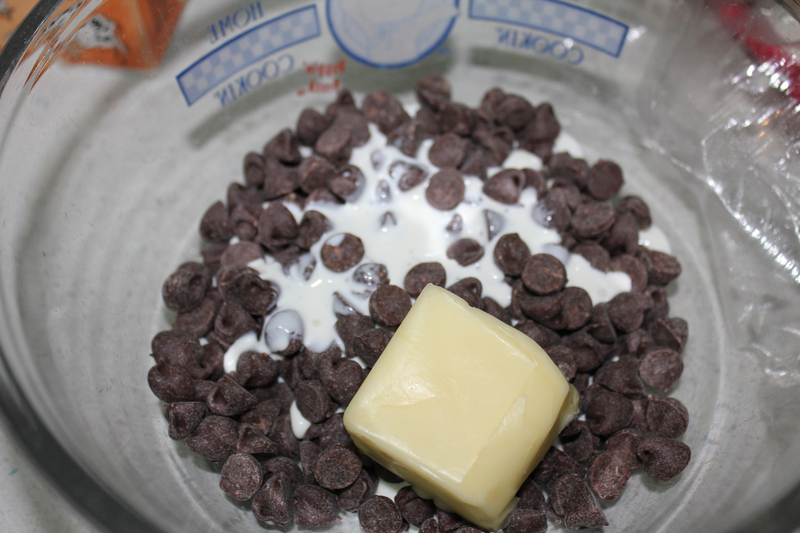 Topping – In a microwave safe bowl, mix chips, butter and cream. 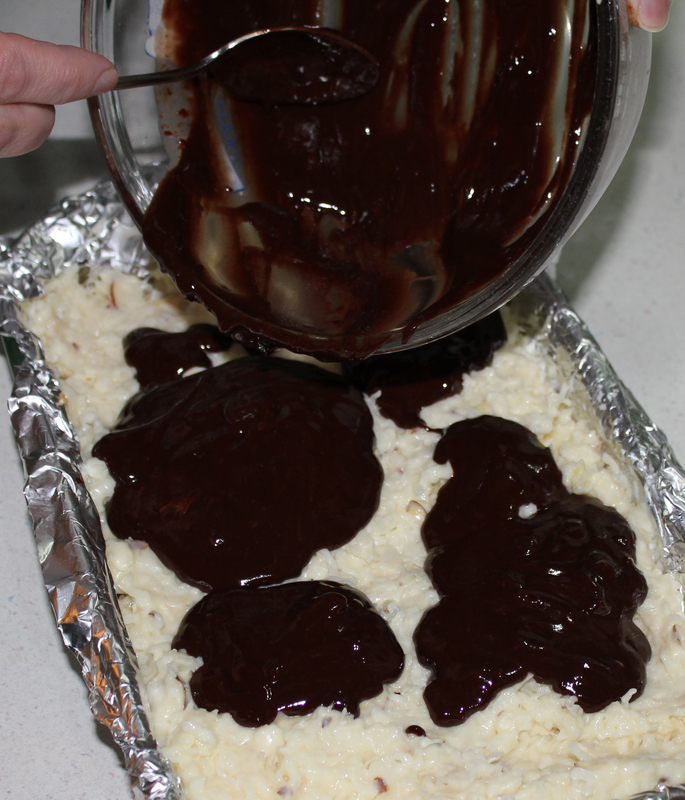 In 20-30 second intervals, cook until chocolate melts and cream and butter are fully combined. Spread over the top of the filling and sprinkle with nuts. 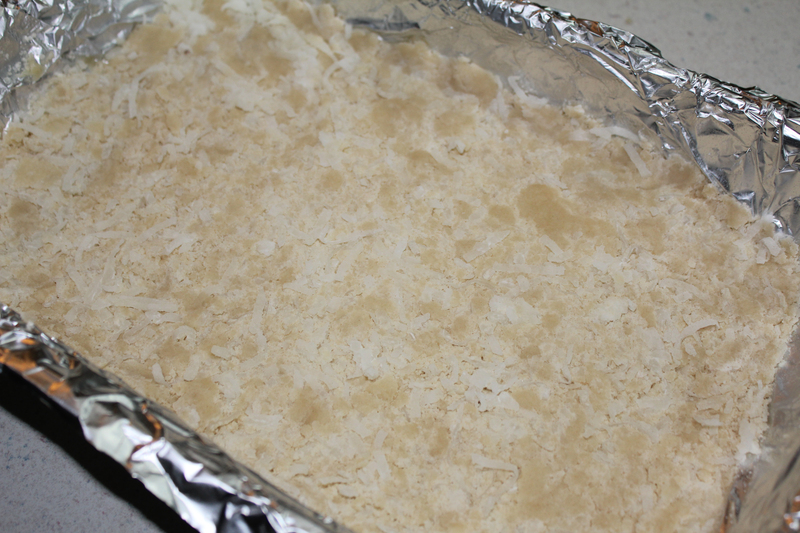 Put in the freezer until firm then take out and cut into bars. Keep refrigerated or in the freezer until ready to serve (if you feel like sharing!). 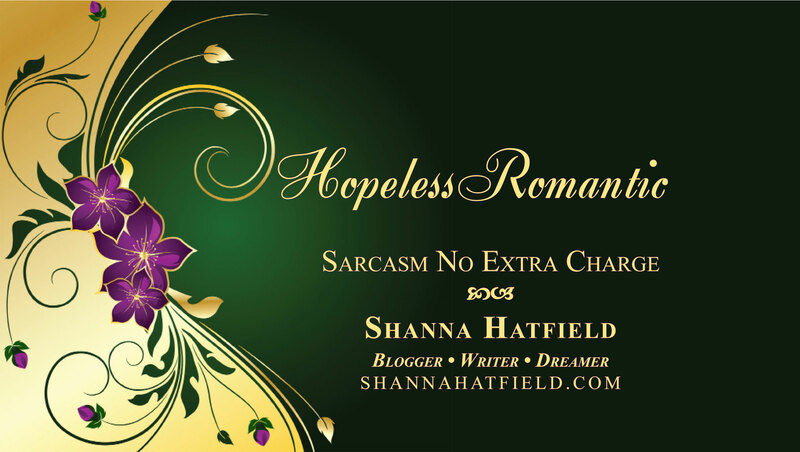 These are rich, but oh, so good!